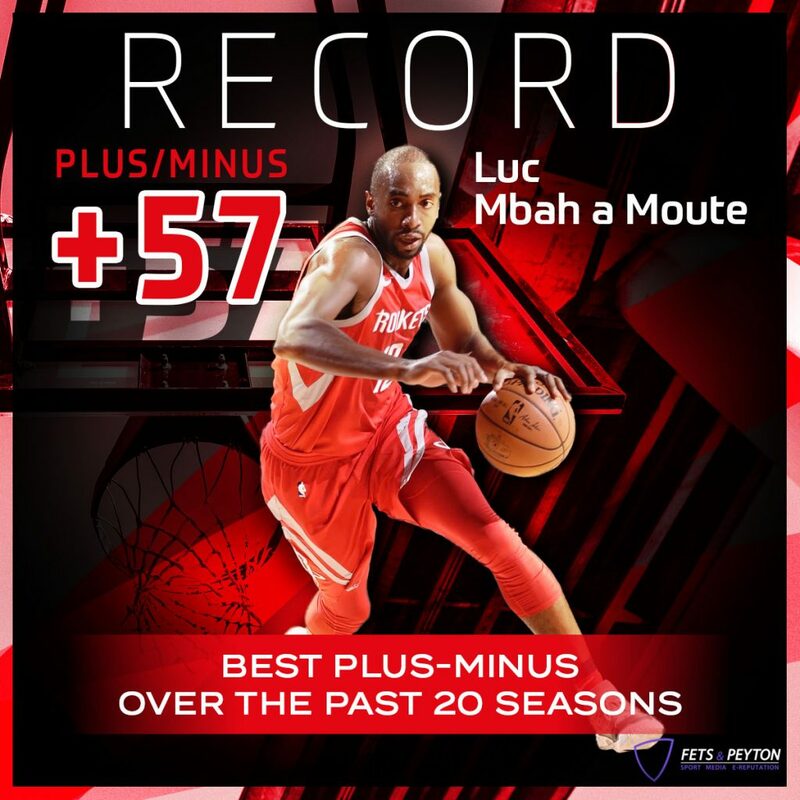 Luc Mbah a Moute signed last night against Denver the best plus / minus ratio of the past 20 years: +57 (Houston outscored Denver by 57 points while on the field). A great performance that adds to the Rockets that exploded the Nuggets 125-95 (75-40 at the break). In addition to his record, Luc Mbah Moute scored 13 points at 100%, 1 pass, 4 rebounds. James Harden added 21 points, 8 rebounds and 9 assists, Chris Paul 23 points, 2 rebounds, 12 assists, Trevor Ariza 25 points, 2 rebounds. Houston really dominated their opponent from the beginning to the end of the match with 54.9% to 2 points against 40.2%, 43.9% to 3 points against 30.3%, 30 passes to 19. From the first quarter, the Rockets fly 19 points ahead 36-17. The machine is running and Denver is paying the price, with an equally prolific second quarter of 39-23. At halftime, the Rockets lead 35 points 75-40! The second period is a formality for Houston which runs 26-27 in the 3rd and 24-28 in the last quarter. The Rockets are 1st in the Western Conference with 14 wins and 4 losses.